One of the best ways to explore Dublin in a day is to join a free walking tour. By doing so you can visit many of the cities top attractions, whilst learning about their history. I’d thoroughly recommend ‘Generations Tours’ as I found their tour to be incredibly informative on my own visit to Dublin! Christ-Curch Cathedral – Located in the medieval heart of Dublin, Christ-Church Cathedral is a must visit when touring Dublin in a day, not only does it have beautiful architecture but also rich links with the Vikings! St Patricks Cathedral – Is the biggest church in Ireland (and arguably the most sacred) as its supposedly where St Patrick baptised the first Christian Celtics. Dublin Castle – Is another building of major importance within Dublin. Amongst other notable moments in Ireland’s history, Dublin castle became the stage for southern Ireland officially becoming independent in 1937. 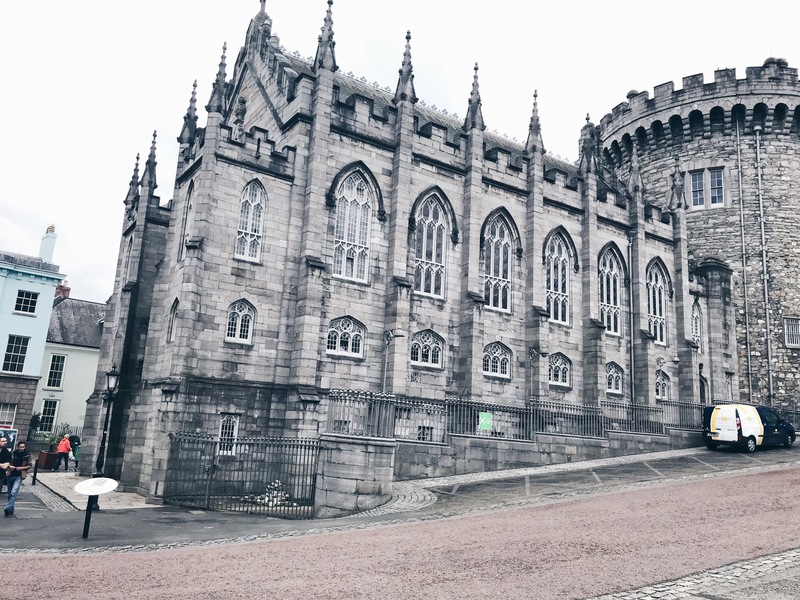 In this way, Dublin castle is one of Dublin sights you don’t want to miss. Most walking tours last for around 3-hours. Following this, you may want a bit of downtime. Dublin has countless beautiful parks and green spaces that can be enjoyed. Perhaps its most famous is Phoenix Park (also home to Dublin Zoo). However, if you only have one day in Dublin I’d recommend visiting St Stephen Green which is much more central. Located at the end of the famous Grafton Street you can even do some shopping on your way to relax in its beautifully manicured lawns. 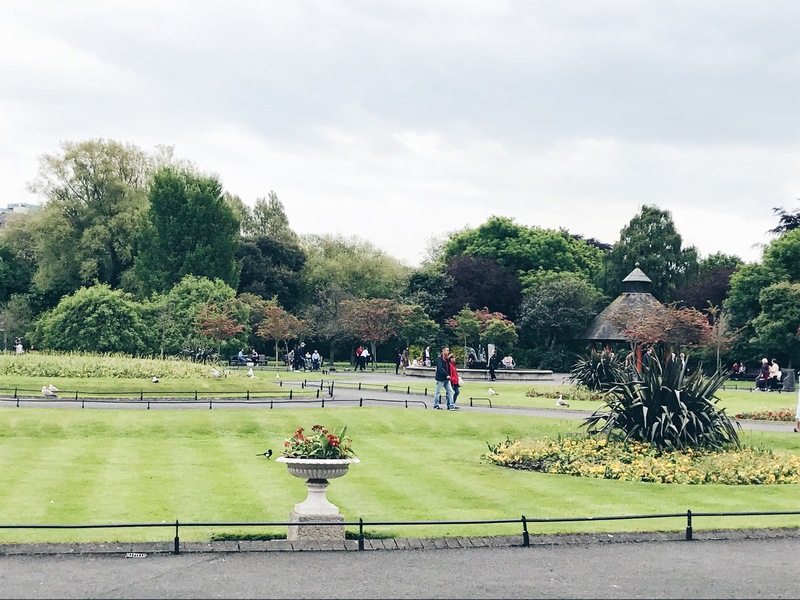 Either way, a trip to the park is definitely one of the top things to do in Dublin Ireland! When asking locals what to see in Dublin, many will suggest a look at the Spire of Dublin. This 120m high stainless steel ‘needle’ is certainly the quirkiest of cities attractions. 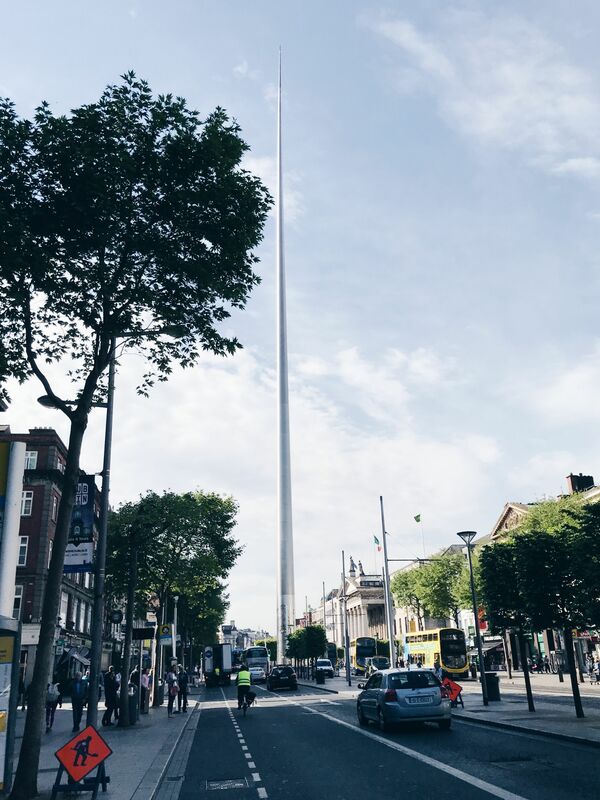 Love it or hate it, the spire is something that is quite hard to miss (even if you’re just touring Dublin in a day) because of its location in the middle of O’Connell Street – the cities main thoroughfare. 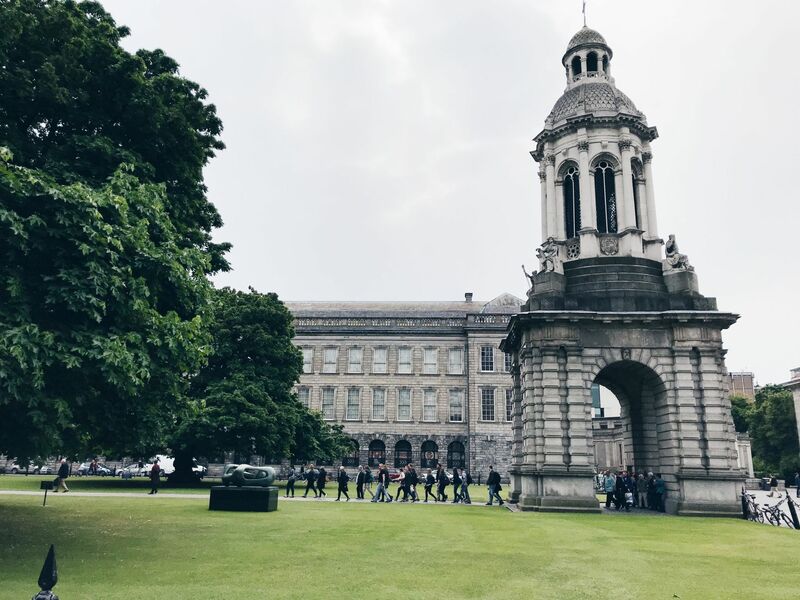 One of the top places to visit in Dublin is Trinity College, which was founded in 1592. The courtyard of this prestigious university will take you back in time, as cobbled paths and beautiful old buildings make you forget that you’re in the heart of a busy city. However, most people visit Trinity College to see one thing: the Book of Kells. The Book of Kells is an ancient manuscript featuring one of the earliest surviving copies of the four gospels. The exhibition only takes about an hour and a half to tour so it is perfect if you’re touring Dublin in a day! You’ll also get to see the colleges stunning old library as part of the tour! TOP TIP: to minimise waiting, prebook your tickets to see the Book of Kells online! I wouldn’t be providing the best answer to the question of what do in Dublin for a day if I didn’t suggest a visit to the Guinness Storehouse – Irelands most popular tourist attraction. St. James’s Gate Brewery started making Guinness in 1759 when Aurther Guinness famously signed a 9000-year lease! Today part of the factory can be toured and its an incredible experience! 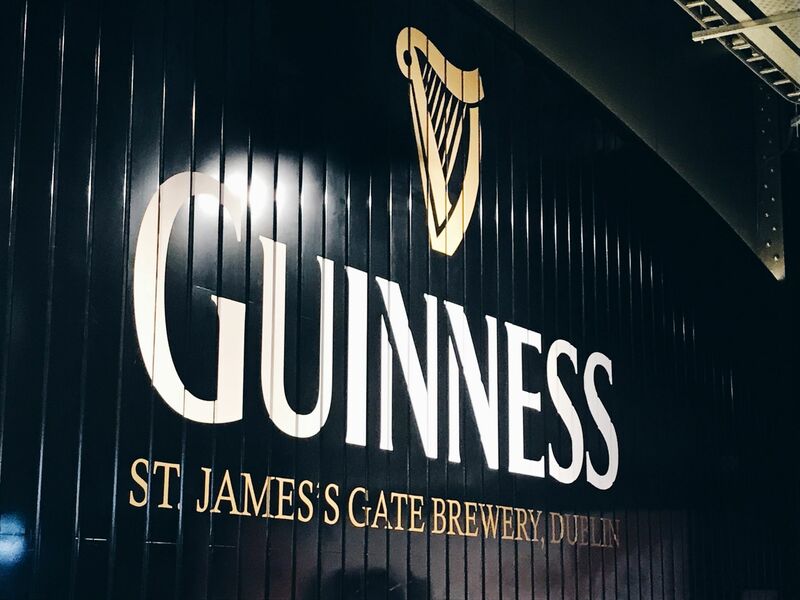 If you visit the storehouse, you’ll learn how Irelands most famous export is made, along with how to correctly taste it and the history of the Guinness family. What’s more, you can take in the view of Dublin from a sky-bar (free pint in hand). Because of this, the storehouse tour is definitely one of the best things to do in Dublin! 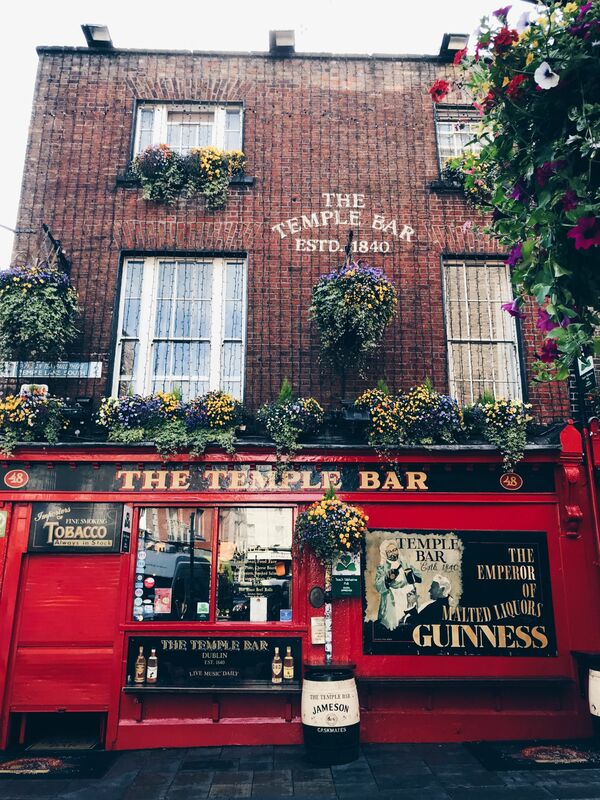 You should end your exploration of Dublin in a day by drinking at its most famous establishment: Temple Bar pub. Although the pints here are incredibly expensive (€8) the atmosphere in the pub is brilliant, as is the live music! Making it one of my favourite places to visit in Dublin. Alternatively, if you’re near O’Connell street, another great place to eat in Dublin is The Bakehouse. 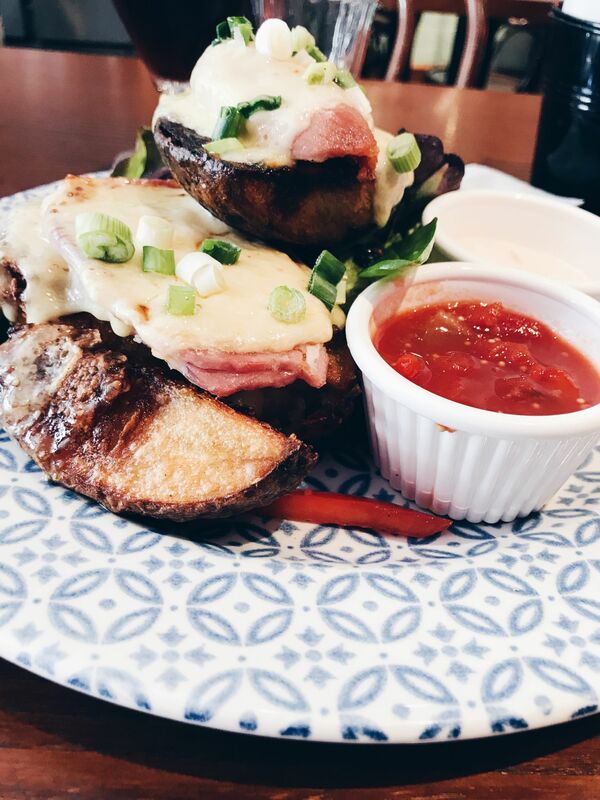 This cute little cafe does fantastic sandwiches and jacket Potatoes! 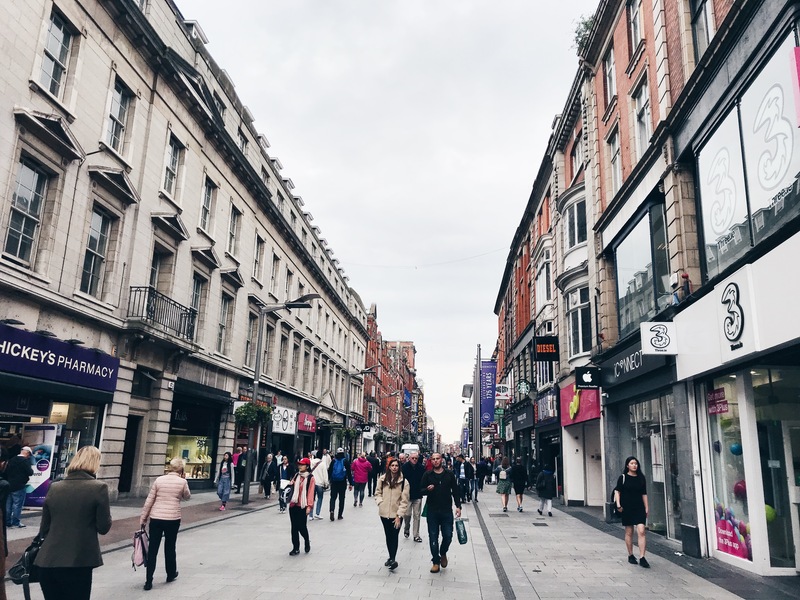 Dublin is a fantastic city to visit and I hope this post gives you a good idea of what to do in Dublin for a day! 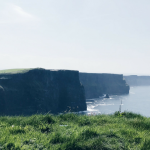 However, there is sooo much more to do… For example, with more time in the city, you could visit Kilmainham Gaol Prison, or take a day trip to the beautiful area of Glendalough. In this way, I’d recommend spending as much time in Dublin as possible. But, if you are forced to explore Dublin in a day, then the above list will allow you to make the most of your time! 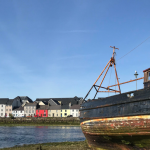 Thinking of heading to Galway too? Then check out my post on the charming city HERE. Dublin is a city I have always wanted to visit! The architecture just looks stunning. Thanks for sharing, some really good tips on things to do here. Dublin looks really beautiful. It’s on my list for in the future, but surely for more days. SO thanks for sharing some pointers. Yes definitely visit for more days if you can, There’s so much to see! Ireland has been on my list for so long, but I have not been that lucky enough to visit it yet. Hope to make there soon. Especially the trinity college which we have been hearing so much about is something i do not wish to miss when in Dublin. Amazing post! Dublin is high on my list and you have some great spots here I would love. Thanks for the info! I’m extremely keen to visit Dublin and then take a tour of the Irish countryside. Not sure when I’ll be able to do that, but I did love reading this post. Pinning it for later! Glad I came across your blog. After reading your post, now I know what to see and do in Dublin. I am a museum person so I guess I will need some more time to cover all. I am in love with that green park! I miss such beautiful and green parks here in California. That Dublin castle can you go inside? I have never been to a castle! Would love to go to one someday! Beautiful! Is there art inside or furniture?